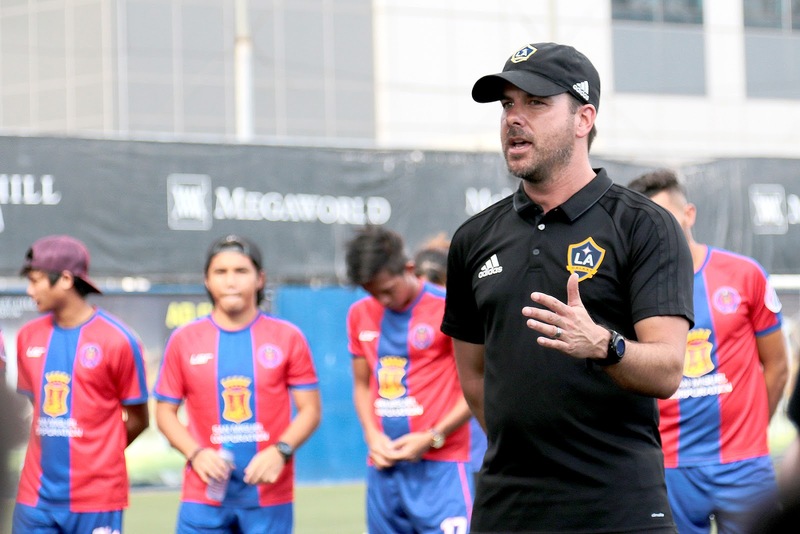 Mindanao-based Davao Aguilas Football Club (DAFC), along with LA Galaxy coaches Wes Meadows, Job Quevedo and Chris Howe, had their first Youth Football Day at McKinley Stadium, at Bonifacio Global City (BGC), last weekend. Over 100 kids, with ages ranging from 8-16, got to participate in the free event hosted by Davao Aguilas FC. The kids represented various schools in Metro Manila such as Don Bosco Tech Institute Makati, Letran Manila, Paco Catholic School, PAREF Woodrose School, Saint Pedro Poveda College, San Beda College Alabang, East Rembo Elementary School, Global Leaders International School, St. Anthony School Manila and La Salle Greenhills. The LA Galaxy coaches, along with Davao Aguilas FC coaches and players Marko Trkulja, Matthew Hartmann, Jordan Jarvis, Gerald Layumas, Princeton Josue, Stephen Burda, Kim Versales, Brad McDonald, Richard Talaroc and Andy Esswein, ran the said event. Before arriving in Manila, the LA Galaxy coaches came from Korea, where they had tryouts for their second team for 10 days, before stopping in Guam for another youth football event there. With the success of its first Youth Football Day, Davao Aguilas FC thus intends to hold similar events in other parts of the country in the near future.